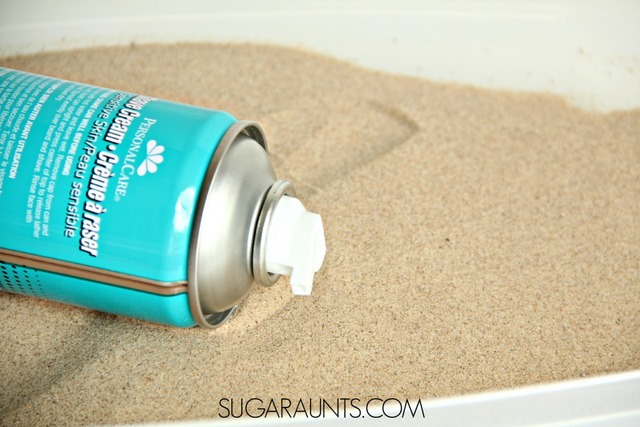 We're excited to share this 3 Ingredient Kinetic Sand Recipe today. 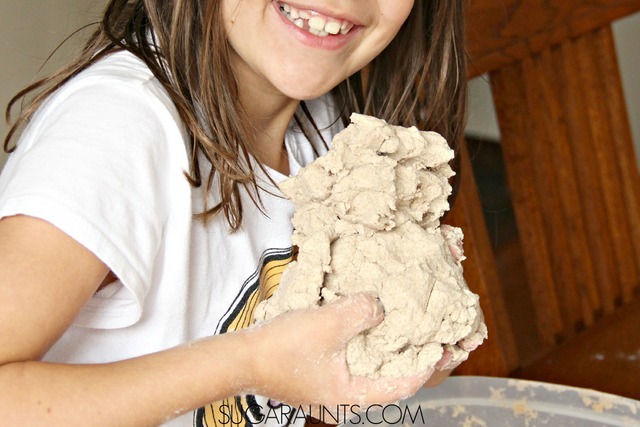 This batch of homemade sensory dough was SO much fun to make and beyond messy, sensory fun to play with. We kept this dough out all day long and played as we passed the bin. This is a dough that you can't keep your hands out of! 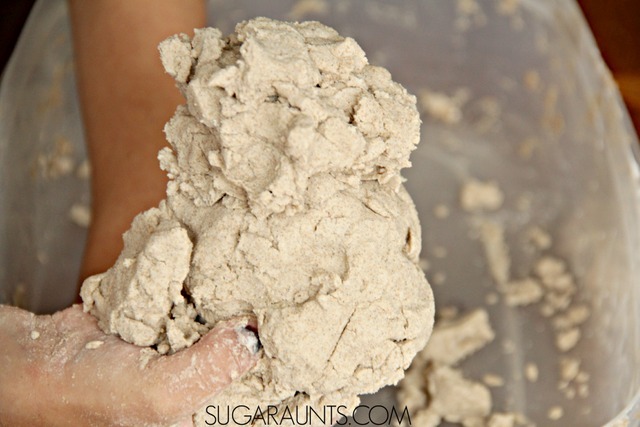 I loved how easy it is to put this dough together and my kids loved getting their hands messy. We added a math component to our sensory dough using seashells and dominoes that we had in our collection. The fine motor skills that happen with a material like Kinetic Sand are perfect for little ones! 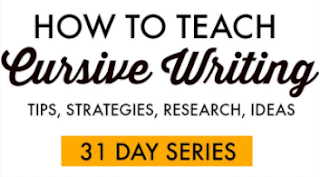 We're adding this post to our month-long series where we learn with free (or almost free) materials that we already have in our home. 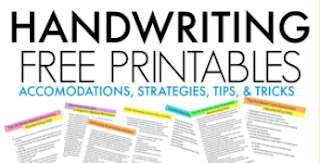 You can see all of our ideas in the Learning with Free Materials series, part of the 31 Days of Homeschooling Tips as we blog along with other bloggers with learning at home tips and tools. To make Kinetic Sand, you'll need just three ingredients. 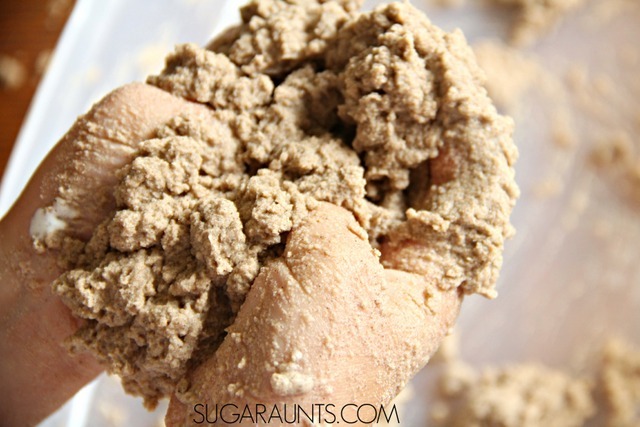 When we started out making this dough, I wasn't imagining a kinetic sand-type of sensory dough. I was picturing a foamy, sandy, sensory material. Our kinetic sand turned out being much cooler to play with! We started by adding together the sand and the shaving cream. We didn't quite measure accurately while mixing. This is definitely a messy play experience and measuring just didn't happen for us. Add about half of the bottle of shaving cream or until the sand/shaving cream is moist and sticks to the hands, but holds together slightly. While the consistency was very sensory, it turned out being just a little too moist. We then decided to try adding something to hold the dough together better. We slowly mixed in 1/2 of a box of baking soda (add about 8 oz). 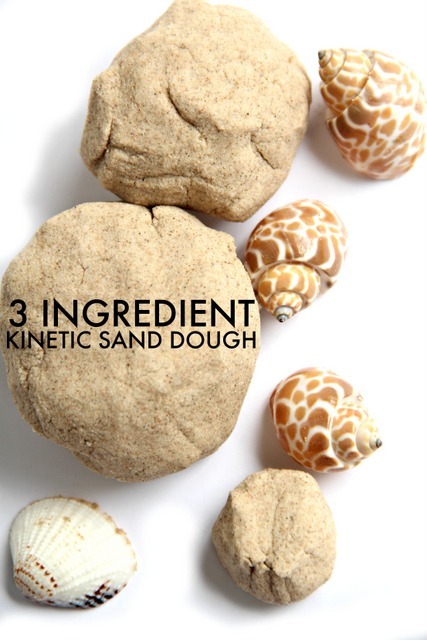 Adding the baking soda really gave our mushy sand dough a moldable, kinetic dough-type of consistency. 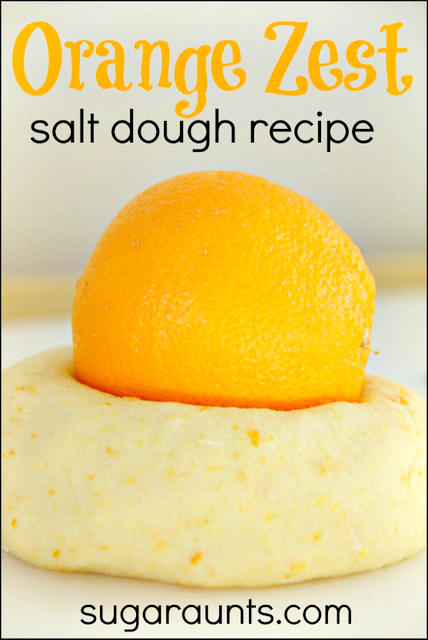 The consistency of your dough will vary depending on the type of sand you use and how much shaving cream you add. Mix in more baking soda until the dough holds together. You will be able to mold the dough at this point. If you can not mold the dough because it is too sticky, just mix in more baking soda. 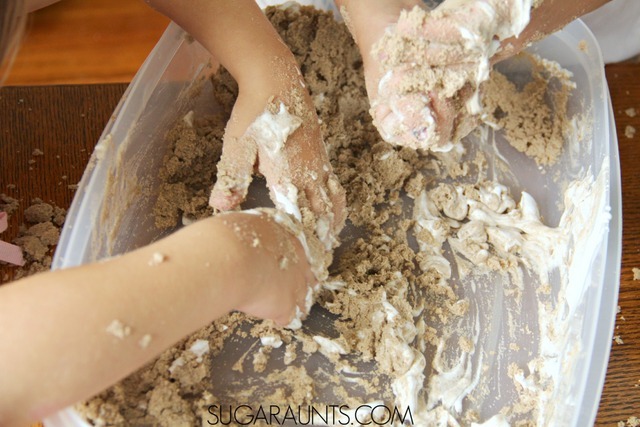 This is a messy sensory dough. You may want to do this play experience outdoors, or prepare your indoor area beforehand with a plastic table cloth under your bin. We love to use a large storage bin for messy sensory doughs like this one. 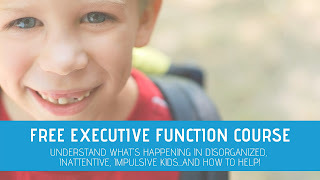 I love when the kids add to a play activity that we have going on. The creative play that happens when they add something to a dough is fun, creative, and even a learning opportunity! They pulled out dominoes that we had in the house and stick them into the kinetic sand. We decided to play some dominoes. Pressing the dominoes into the kinetic sand was fun for my seven year old. I pulled out two dominoes and asked her to add the total number of dots on each domino. She then determined which domino had a greater total number. We used the side of a domino to create a greater than or less than symbol. Don't have dominoes? 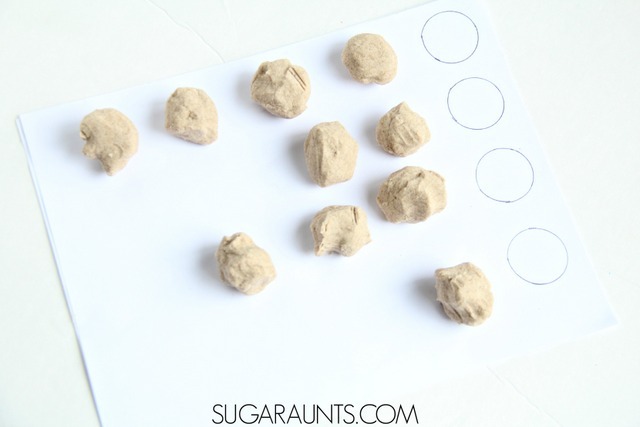 Add seashells or rocks to the kinetic sand and count them out. Make the greater than/less than symbols between the sets of seashells or rocks. 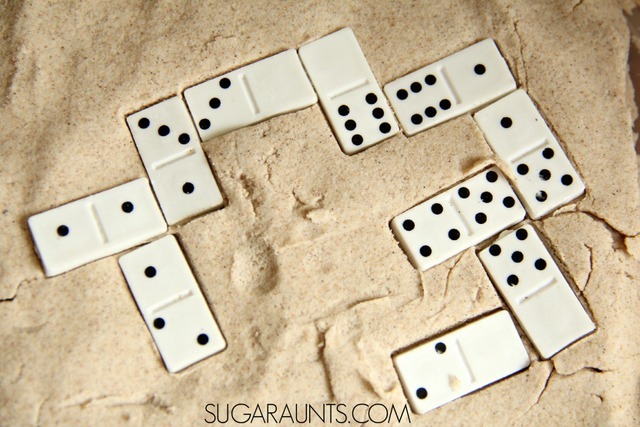 Pressing the dominoes into the sand really works the fine motor skills. Kinetic Sand is such a resistive material that works on strength of the hands. 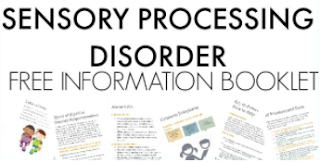 Occupational Therapists need this in their therapy bag! We created a math activity for my three year old as well. She helped me squeeze the kinetic sand into balls. We placed them in a row and I asked her to count out the number of sand balls in each row. 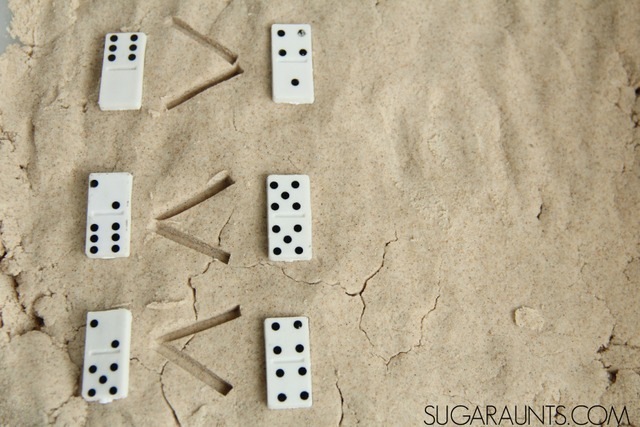 This one-to-one correspondence is a fun preschool math activity. 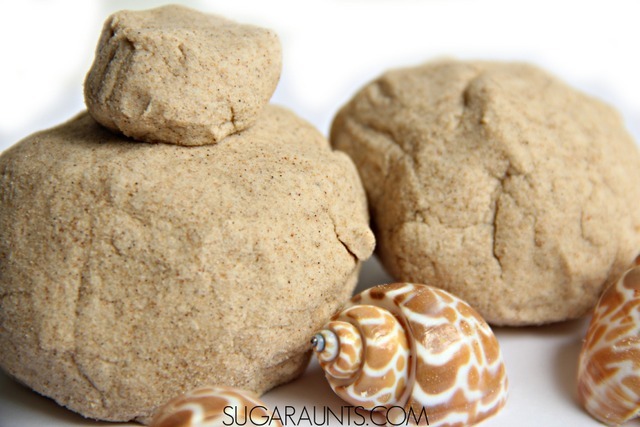 Looking for more Sand sensory dough recipes? 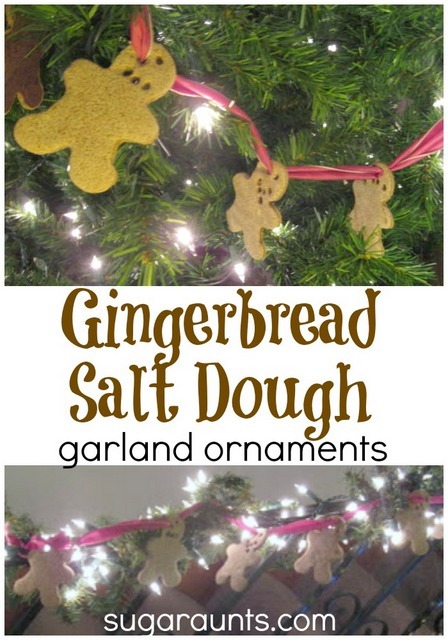 These are fun: Fizzy Soda Dough, Almond scented salt dough, orange zest salt dough, and gingerbread salt dough.